As an orthopedic resident at Loyola University Medical Center, Daniel Schmitt ’11 sees a wide variety of patients. 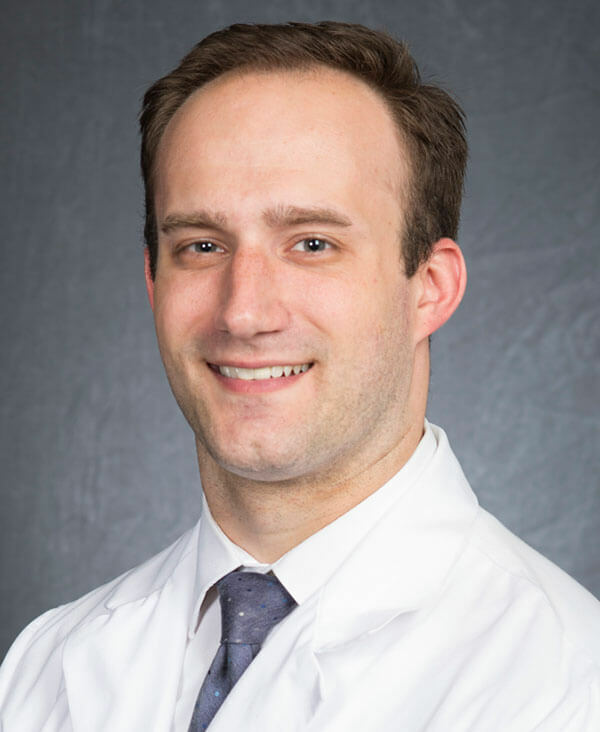 Schmitt, who majored in anthropology and biology, relies on his liberal arts education to connect with his diverse patient base and treat them comprehensively at the Level I trauma center — a hospital providing the highest level of surgery to trauma victims. Even outside of the hospital, Schmitt said his Arts and Letters background helps him form more genuine connections with others. “A liberal arts education makes people better at communicating. Just on a day-to-day basis, it allows you to better interact with and understand one another,” he said. At times, Schmitt’s two majors forced him to focus simultaneously on opposite ends of the academic spectrum. Organic chemistry, he said, is nothing like anthropology. But overall, he found his majors balanced each other well, with his Arts and Letters coursework provided a holistic perspective he wouldn’t have gotten studying biology alone. And classes in medical anthropology allowed Schmitt to seamlessly blend the two majors. Schmitt also balanced life as a Division I student-athlete, playing defense and defensive midfield for the men’s lacrosse team. While his schedule was rigid, it ultimately made him a better student and helped ease his transition to medical school. “Lacrosse very much regimented my day, which, in hindsight, was very helpful,” he said. After graduating Notre Dame, Schmitt went to Rush Medical College at Rush University Medical Center in Chicago, where he first worked with a medically underserved population. Facing this new challenge, he relied on his anthropology experience — and a passion for service he cultivated at Notre Dame. “I think that the background that I have — being able to ask the appropriate questions to better understand the patient and appropriately treat them — is so important,” he said. Now completing his residency at Loyola, Schmitt said that while the course of treatment may seem obvious, human complexity almost always demands more thoughtful solutions. For example, when Schmitt recently saw a patient with a severely fractured hip and blood loss after a motorcycle accident, he would have normally recommended surgery. The patient, however, was a Jehovah’s Witness, and could not accept a blood transfusion. “We had to understand his point of view and ask, ‘What are we going to do that will give you the best possible outcome, knowing that this is part of your religion and not something you can compromise on?’” he said. Schmitt’s team found an alternative treatment that respected the patient’s religious beliefs and helped him heal. In those situations, Schmitt said that his liberal arts education has given him a “much better basis for understanding people” — and has made him a better doctor. “You have to consider the other social factors in people’s lives outside of, for example, their knee bothering them,” Schmitt said. “There’s a whole other side to why it took so long for them to come in or why they were 30 minutes late for their appointment — whatever it may be — that you have to make the effort to think about. Originally published by Jack Rooney at al.nd.edu on March 28, 2018.